Who Needs a DeLorean When You've Got Ears? 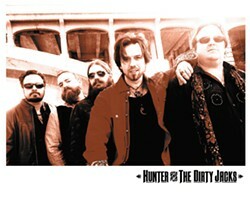 Hunter and the Dirty Jacks play Humboldt Brews on Friday, July 29, at 9:30 p.m. Some music will always hold a dear spot in our lives. It could be a song that we listened to obsessively for days on end after a high school break up, it could be a full album, it could be the first live concert we ever attended, it could be "your song" shared with a girl/boyfriend in ninth grade, it could be the song played at your grandfather's funeral. The music doesn't even have to be good in order to transport you back in time, reminding you of important relationships and people you may have forgotten. Tom Petty and the Heartbreakers' "Into the Great Wide Open" brings me back to a hot summer day at work in Southern California after getting my driver's license. U2's "The Sweetest Thing" reminds me of my first girlfriend in high school and the emotional torments of that rollercoaster ride. Recently driving down to Oakland with a soon-to-be hitched pal and a friend with whom I've been tight since we were 12 listening to They Might Be Giants' Severe Tire Damage album brought back a flood of memories and thoughts of another old friend Ed. Ed the TMBG superfan. I won't bore you with any more details of our high school lives and how we thought listening to music and making mix tapes for each other was time better spent than chasing girls (looking back, I could have put a little more time into conversing with those fascinating creatures we called girls). Another regret, after listening to this music, is not having stayed in better touch with Ed. As I wait for him to return my call, dig through your vinyl/CD collection, throw on some tunes and get ready to time travel. You'll be glad you did. In a move that will surprise none of us, a member of the Marley family will stop in Humboldt for the night. This musical dynasty has many branches and strong roots. There are enough branches that I — not your most reggae-enlightened fan — occasionally can't place which branch is connected to which on the Marley tree and forget which Marley was here the most recently. With that disclaimer, I'm going to go out on a limb (clever, no?) and say that this is Jo Mersa Marley's debut headline performance here in Humboldt, and you'll find him at Humboldt Brews in Arcata tonight at 9 p.m. Now for you familial dendrologists out there, Joseph Marley is the eldest son of Stephen, and therefore a grandson of Robert Nesta Marley. Jo Mersa (nicknamed after a British boxer by one of his grandfather's friends) delves into touches of electronic music friendly to the dance floor, but explores rhythms and grooves that are all steeped in reggae. He's grown up in one of the premier musical families and shared some time on the road with his musician father, so expect a good show from this 25-year-old. Bring $20 to get in and groove away. 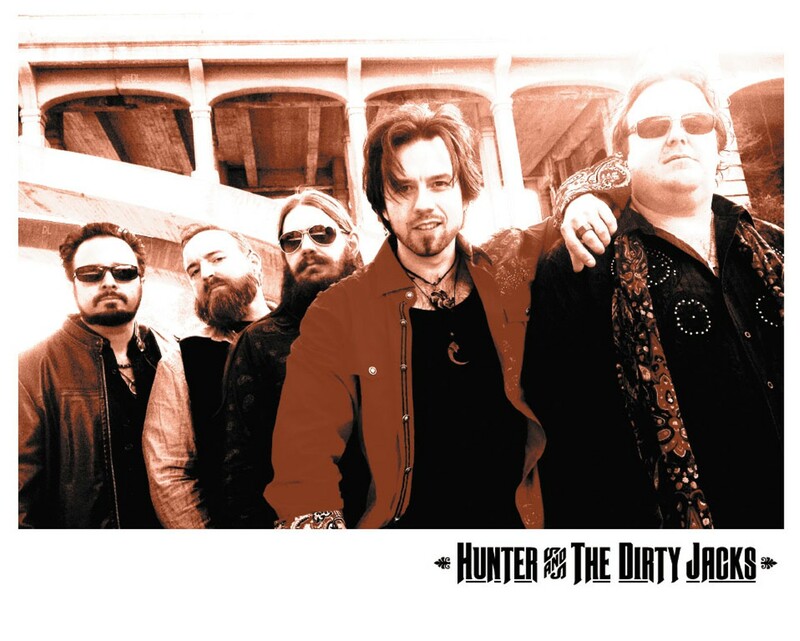 Sticking with Humboldt Brews here for a bit, Hunter and the Dirty Jacks are returning to rock Humboldt. Guitarist Jon tells me that the band loves to "jam like the Grateful Dead, we rock like the Rolling Stones, and we break it down acoustic and go back porch." 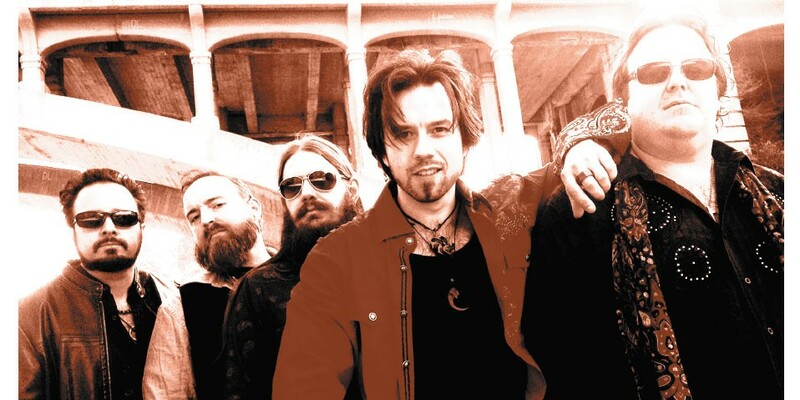 So you can get your fill of some bluesy-guitar-rock riffs tonight at 9:30 p.m. for only $10. Also in Arcata at the same time, you'll find a "legend in the underground club music scene" at The Miniplex. This music, according to owner Merrick McKinlay, is called "goombawave" and it's called that by performer P. Morris (aka MORRI$). Now, goomba reminds me of what were apparently sentient chestnuts from the Mario Brothers franchise, but I doubt that has much to do with it. From what I can tell, it has more to do with down tempo tunes and remixes. One of P. Morris' Bear Club Music Group collaborators, Maal A Goomba, will be on the bill all hosted by Eureka native On Hell. It's a sliding scale to get in, which may mean "throw in what you can." Although you've got a lot of options for karaoke tonight, it seems to be a bit more of a mellow Saturday night than I expected. If you're in the Eel River Valley area or close to it, you can get on up to Bear River Casino around 9 p.m. to get moving to local cover band The Undercovers. As I've mentioned before, this band covers some massive hits from the '70s all the way up to our current 21st century, and they do it well. A friend and I recently concurred that not only is it impressive that the drummer of The Undercovers pulls off most of the lead vocals, but his ability to hit high notes like Steve Perry and CeeLo Green is a sight/sound to behold/hear. Catch 'em tonight for free. Speaking of free, Blondie's in Arcata again hosts Jazz Jam for you cool cats out there. You can pop in and enjoy Belgian ales or other fermented delights while hearing fine local musicians play the night away. If you can't make it tonight at 6 p.m., you'll probably have another chance next weekend. Although the Folklife Festival is a few weeks behind us, that doesn't mean that the Humboldt Folklife Society is dormant. One of the more popular festival events is the Beatles sing-along under the direction of Joel Sonenshein. Perhaps a few Beatles songs will make an appearance tonight at the Humboldt Folklife Society Sing-Along in the Arcata Community Center for free at 7 p.m. Songbooks, I hear, will be provided so all you have to bring is your voice (as if you could leave it behind) to sing "your favorite folk, rock and pop songs." If you haven't tried singing with a large group before, I highly recommend it (especially as one who can't sing well). Many of you probably know today is Jerry Garcia's birthday. Local Dead tribute The Miracle Show (and friends) will be celebrating Jerome John's birthday tonight at Humboldt Brews around 9:30 p.m. Celebrate the man with four fingers on his right hand. Bring twice as much money to get in. Andy Powell is a congenital music lover and hosts The Night Show on KWPT 100.3 FM weeknights at 6 p.m. He talks to himself more often than he should.